This collection of necklaces was designed by Greek visual artist, sculptor and jewellery designer Eleftheria Stamati. 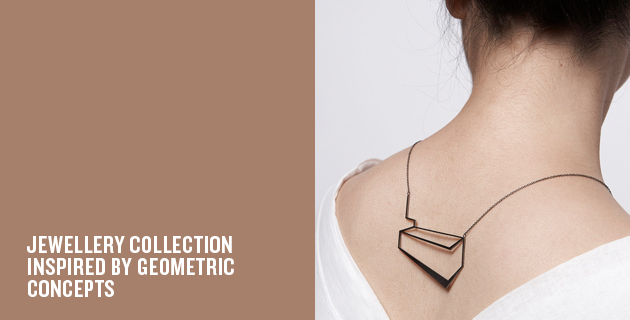 Fascinated by the Euclidian point, Eleftheria has created a whole series of geometrically inspired necklaces, named The Mechanics of Black. Her pieces are wearable but also sculptural and interesting to look at – check out the collection below or on the designer’s site.